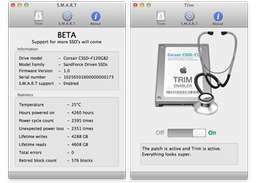 Enables TRIM under Snow Leopard or Lion for SSDs of any brand. 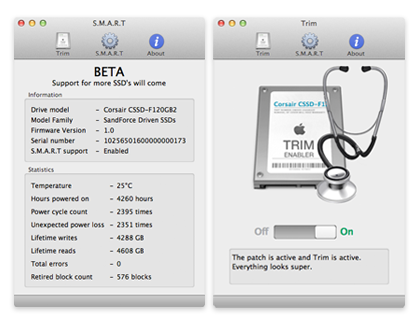 In recent OS versions for Macbook Pro 2011 though, and in Lion, there is support for TRIM. But only on Apple SSD brand. So I made this patch to enable TRIM for any SSD. Helps you determine what files and folders consume most of your disk space. Inspect and delete old versions of your documents.